Ever have those days where you need to come up with a creative design for a website – either your own site or a client’s – but the ideas just aren’t coming? 5) Get out – get out of your office and look at the “real world” with a fresh set of eyes. Take a camera with you and go to a place with a similar vibe to the organization you’re trying to come up with a design for… hike in a state park, walk the city streets, do some people watching at the mall. 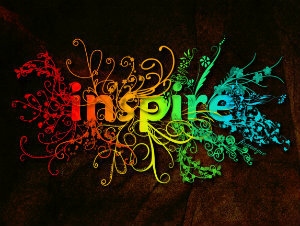 Let the world be your inspiration. Great post. Definitely need inspiration from time to time. Absolutely this post is very useful for the web designer and this 5 steps can works as inspiration for the web designer. I think these five work place inspiration for our graphic designer. Every web designer requires the right tools to do their job. To create well crafted original designs you certainly need to be inspired to do so. Good article! I seriously appreciate your technique. Thanks for sharing 5 places to go for web design inspiration. I personally liked dribbble. Dribbble have some unique idea. I mostly prefer your 5th advice which is 'Get Out'. It really is advisable to go look for your self the basis of what you are actually looking for outside of your house and your monitor. I personally like dribbble site for the web inspiration but you have just missed the "www.onepagelove.com" to mention in your list. Thanks Paul for sharing such a wonderful sources to get the best ideas to design a eye catching websites. I personally like dribbble and behance. I am a big fan of behance and awwards both websites are best to find inspirational work. It’s easy to find out what is in and what’s out when we look at websites such as awwards. Also I think dribbble is making a good name in market haven’t used it much but will give it a try. Of course behance and dribbble are heaven for Web designers, I took lot of inspiration from those 2 website. Thanks for your post Paul! The mentioned websites are best for the designers and I want to add the best resources here regarding your topic, Designspiration and Pinterest both are helpful to get ideas actually I use these resources while designing something to get a better idea. Thanks, Paul for this great inspirational post. Definitely this post is very valuable for the web designer. Behance , dribble and other mention work place are heaven for the web designers. In my point of view, Pinterest is also the biggest work place for designers if you add Pinterest in your post it will be more informative for the readers. Any how thanks for the great post. Please give more details on how to build a website from scratch?